We are coming to the close of our first year living aboard. We left the US on October 14th, 2014, then Starry Horizons was launched October 29th, and we left France November 28th. Despite that, we don’t feel like we’ve been cruising much. Since we had a schedule to get our boat to Florida, essentially performing our own delivery, and then five months in Florida for outfitting, we really started cruising….June 18th! We’ve been moving from place to place for about 4 months now. Seeing as how we had to get north AND out of the United States, we didn’t get to spend as much time as we wanted on the East Coast or the Bahamas. 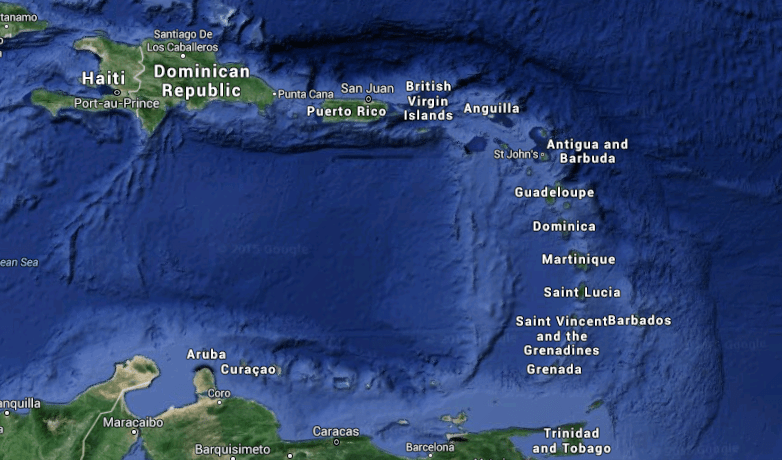 One of the things I’ve really struggled with is understanding our time table – do we really not have enough time to spend another year here, between the East Coast and the Caribbean? We will leave Bermuda the first weather window we get after our guests leave and head to Tortola. From there, we will spend the time sailing down the Caribbean chain. After the Panama Canal, we will explore the Galapagos and then cross the Pacific (our second longest crossing). 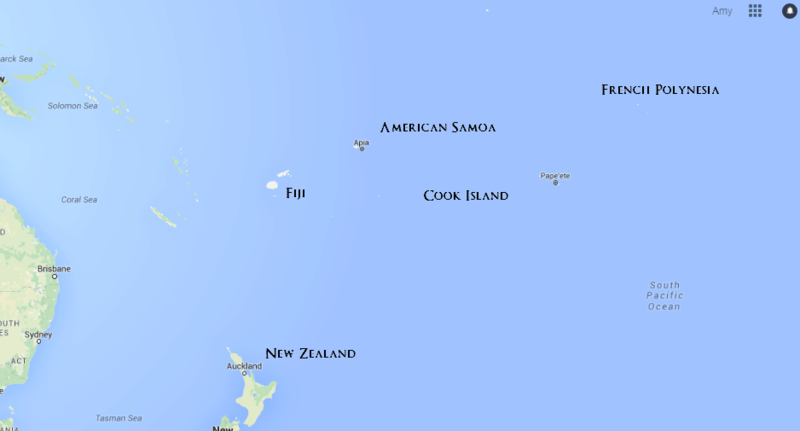 Arriving in French Polynesia, we will make our way through the islands of the South Pacific to New Zealand. Starry Horizons will spend the storm season safely in New Zealand. We will most likely spend time back in the states, traveling in Asia, and exploring New Zealand. We will travel north again, heading up to South East Asia. We will tuck Starry Horizons into a harbor in Australia, and again, we will travel back to the US, around Australia, and wherever else we want to try to get to! 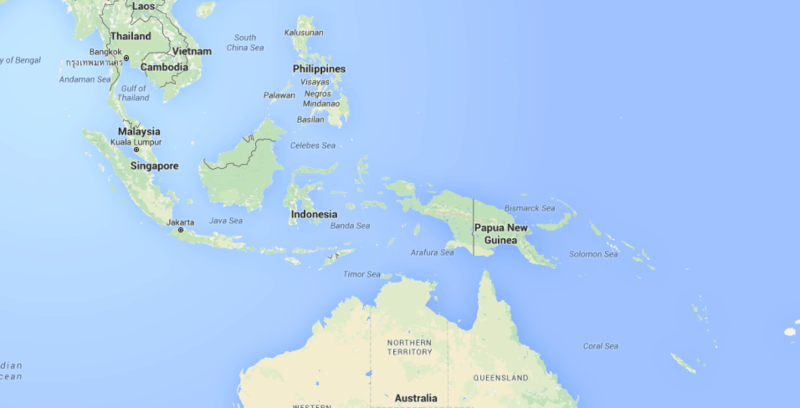 Crossing the Indian Ocean, we will get to explore some really remote places like Christmas Island, Cocos Island, and Madagascar. 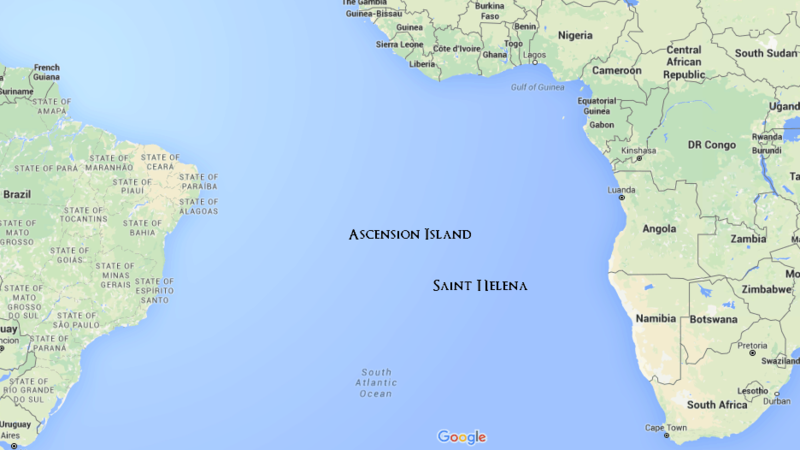 We plan to arrive in Cape Verde, visiting St Helena, Ascension Island, and possibly Brazil on our way up. Enter the Mediterranean in April and spend the summer sailing to European and Northern African countries. Finish our circumnavigation by crossing our wake somewhere in the Atlantic or Caribbean. So that’s it! That’s the best laid plans of mice, men, andStar Chasers. In order to spend another year here in North America, we’d have to give up either a second year in Oceania, or the time in the Mediterranean. Am I sad we won’t be here next year? Absolutely. But as David keeps telling me, we could always spend more time after the end of our circumnavigation in the Caribbean. What do you think? Will we get to meet up with you somewhere? Are we overlooking anything crucial? Where would you sail to if you were us? Greece is fantastic. The Corint canal, although expensive is a must. And so neat. Don’t forget Croatia! Why the rush? Do you really have an end date by which you ‘must’ complete your circumnavigation? I assume this means you have plans to get back to a shore-based life in 3 years time. There are so many amazing islands and countries that you will be by-passing by sticking to the plan that you have outlined that I really hope (sorry to put my expectations onto you!) you decide to slow down and spend multiple seasons exploring the parts of the world you will be passing through. In any case, I’m loving your blog as I catch up on your adventures (only discovered you a few days ago!). I’m in New Zealand, having moved here from Canada a few years ago, and with my partner we’re buying a cruising catamaran that we’ll be taking possession of in March 2017. Hopefully we can meet you as you explore this wonderful country! Hi Tom! We are super excited about NZ. Hard to believe that we will be there in less than 3 months! We’d love to meet up while we are there. The reason for our 5-year plan is primarily a budgetary concern. While we do have some things in the works that might allow us to extend our trip, we are currently on track for the 5-year mark. We are young – Gotta go back to work someday! Richard, M.100T, in Florida preparing to pick up our catamaran this year, 2018. Well, we are all slave to the bank account for the most part! Wow, reading this post 2+ years later is interesting. A lot has changed. I think we will have some pretty great opportunities when we are done circumnavigating. Having sailed down from the Seychelles to Mozambique in June this year we stopped of at Mayotte (the French Comoros island)and bumped into a Dutch Couple that had come from the Pacific islands. They had spent 6 months sailing in Thailand which they said was fantastic and really really cheap. They then went to the Maldives and from their 3 months in Madagascar and then to Comoros. Some places to think of !! I recommend Seychelles although food is expensive and Mayotte which is an amazing island. Thank you for the suggestions! I had to look for some of those places on the map. What an amazing geography lesson we get. So many places to visit! Sounds exciting! You’ll love New Zealand – the cruising there is amazing. We can’t wait to get back one day. Summer 2019, Greece, for me, please!